From the Classic Chain collection, John Hardy presents these stellar stud earrings. Each sterling silver earring is a button of woven classic chain in a round shape, and the post backings keep them securely in place. 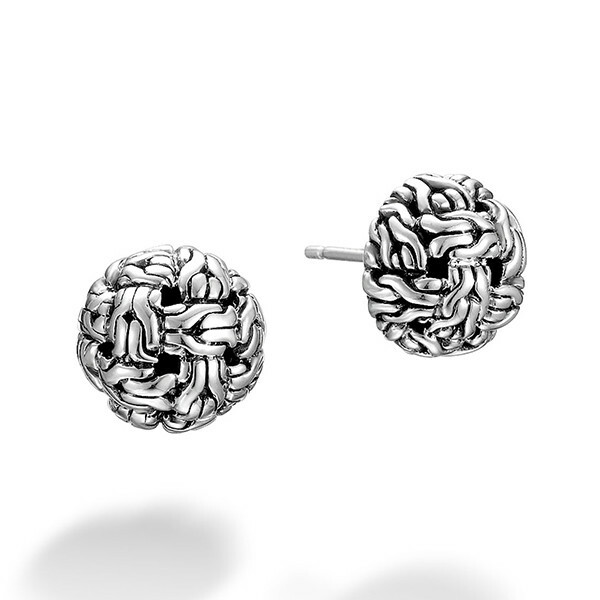 If you want a "classic" look, these John Hardy earrings will blend with any style.